Based on the Delaware School Success Framework, well over half of Delaware’s charter schools are not meeting expectations. Tonight, the Delaware Charter School Office will present the 2017-2018 Charter School Annual Report to the Delaware State Board of Education. 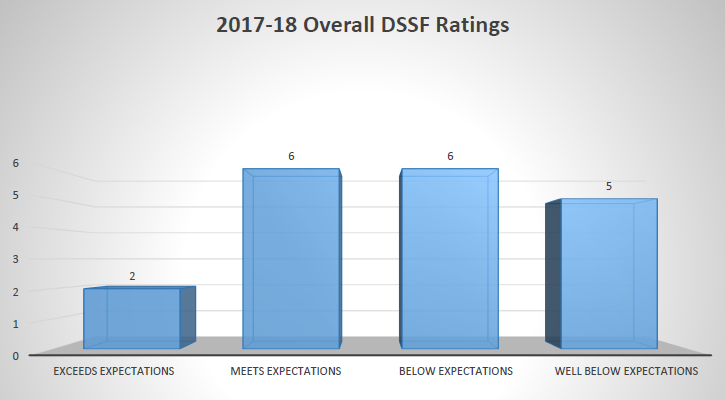 The Delaware School Success Framework, based largely on the Smarter Balanced Assessment, shows that 57% of the charter schools authorized by the Delaware Department of Education, are below standard overall. While I will never agree with any form of measurement based on the very flawed state assessment, the charters love to brag about how they do less with more. But this clearly shows a plethora of reasons why they are just like most of Delaware’s traditional schools. In fact, the ones who do REALLY well on the not-so Smarter Balanced Assessment have demographics that are woefully skewed. After years of controversy, Dr. Sam Paoli is out at Charter School of Wilmington. Effective June 30th this year, Dr. Paoli will no longer lead Delaware’s first charter school. In an email sent out from their board, parents were notified of the news. Following several years of disenchantment from educators at CSW, the board finally decided enough is enough. Last year, CSW educators joined the Delaware State Education Association. Despite complaints to the board about him, Paoli was allowed to stay on. Finally some sanity from this board! In the below letter sent to parents, it mentions nothing of a “resignation” or “retirement”. Just that he is gone the end of this year. Who will take Paoli’s place? Will they search from within and have former Delaware Department of Education employee Angeline Rivello lead the school? Rivello is Paoli’s second-in-command at the school. Or will they take someone from the outside and find a way to bring CSW into the 21st Century (or make that the second half of the 20th) and increase their diversity? Autism Delaware released a fact sheet today on the debacle involving the Delaware Department of Education, Christina School District, the Office of Management and Budget, and Governor Carney’s office. This should answer many questions folks are having based on the Delaware Public Media article as well as my own last night. If this is how it was supposed to happen, someone dropped the ball big time. A lot of fingers can be pointed at Christina Superintendent Richard Gregg for failing to notify the district’s Board of Education (which is the governing body for the district and hired him in the first place). As well, Governor Carney’s administration goofed big time by not putting certain funding for training personnel in their FY2020 budget proposal. A lot of this comes down to communication. We live in the 21st Century where communication is instant. This kind of stuff shouldn’t happen! OMB, Controller’s Office and DOE are setting up a meeting with Christina next week. The schools are not changing anything, they will still report to their current district. Teachers and staff will not be affected by any of this. They need to hire the two specialists and those specialists need to report to someone. They need to hire someone to oversee the specialists and the statewide program. The meeting this week will work all those details out. Thanks to Autism Delaware for getting some facts out on this matter! Exceptional Delaware hit 2,000,000 hits this morning. I predicted this would happen in early February. 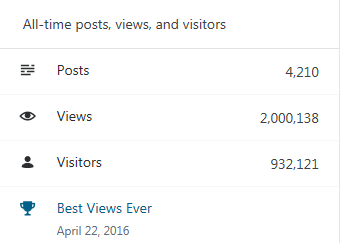 I’m still proud of this little blog even though I don’t post with the regularity I used to. A full-time Monday to Friday job will do that. 4,210 posts. 2,969 loyal followers. 9,710 comments. Countless Facebook and Twitter conversations. Many new friends. Years of sweat and blood. Trying to do the right thing for kids. Fighting the fight. Going through the motions of life. How much is enough? Am I doing enough? It took years to find a balance. It’s been a journey. When I hit my first million in November of 2016, my life was completely different from how it is now. I have to wonder if it will make it to three million and what my life will look like at that point in time. Thanks for coming here. This blog would be nothing without readers. Whether we agree or not on things, I’ve always done my best to shed light where there was none. It became more political over the years but that is, in large part, because politics and education have become so entwined. Faces come and go in the education world. Some remain. Education is never going to be perfect. But we need to be better and that starts with the adults in charge. Who will be the new Red Clay Consolidated School District Superintendent? It is down to two men. One will lead them after the Red Clay board makes a vote in the coming months. One comes from the district while the other comes from a powerful position in the state. Hugh Broomall is the Deputy Superintendent for Red Clay. Holding the role since 2010, his experience with the district stretches back to 2004. Broomall began his education career as a special education teacher at the Au Clair school in 1993. Two years later he went to the Terry Children’s Center as a special education teacher from 1995 to 2002. Broomall took on a leadership role as the Assistant Principal at the Charlton School in the Caesar Rodney School District from 2002 to 2004. He came to Red Clay in 2004 as the Principal of the Meadowood Program. Broomall plunged into district work, first as the Manager of Human Resources from 2008-2009 and then as Assistant Superintendent from 2009-2010.
services reaching 18,000 students from pre-k to post-high school. Match Tax, school budgets and department budgets. the Curriculum & Instruction department for 8 months. 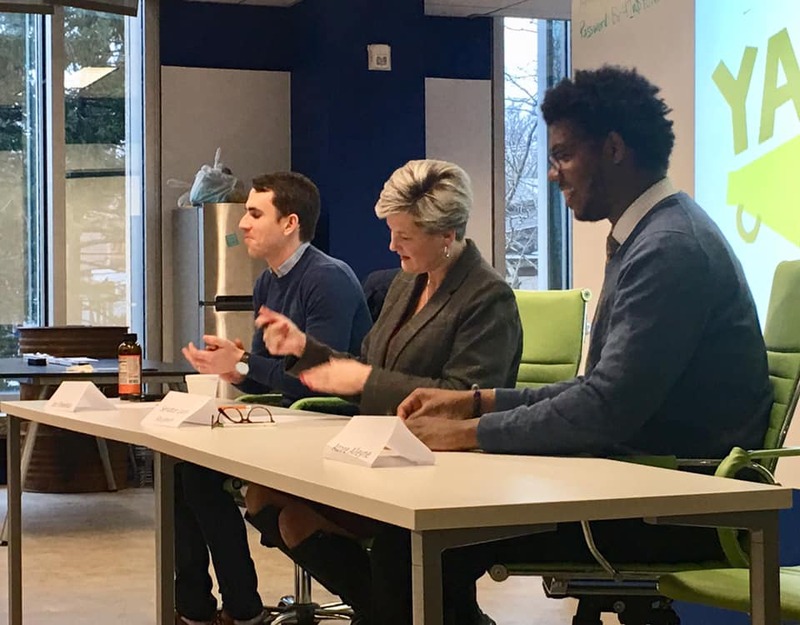 Dorrell Green is the current Director of Innovation and Improvement for the Delaware Department of Education, a role he has held since August 2017. He began his career as a 6th grade teacher at Bancroft Elementary in the Christina School District in 2000. From there he spent a year as a 4th grade teacher at Stubbs. Green began his leadership leader as the Dean of Students at Stubbs for two years until 2004. The next four years were spent at Bayard Elementary School as Assistant Principal from 2004-2006 and Principal from 2006-2008. From there he moved to Brandywine as Principal of Harlan Elementary School for three and a half years until he took on the role of Director of Elementary Education and Federal Title I Programs at a district level in 2011. That role catapulted Green to the Assistant Superintendent position which he served as until his appointment with the Delaware DOE. Support School Improvement Efforts via priority schools initiative and Every Student Succeeds Act (ESSA). Coordinate implementation of best practices that are proven to support school improvement efforts; research based best practices that are being implemented locally, statewide, regionally and when necessary national models that demonstrate outcome oriented success for urban education. Convene districts, school leaders and community partners to support schools and families. Which one will lead Red Clay? Time will tell. The board will vote on February 13th! I wasn’t expecting this! Rob Petree, a now former reporter for Delaware 105.9, is the new Executive Assistant for Delaware State Auditor Kathy McGuiness. I find this to be a very interesting choice on McGuiness’ part. I am not against this choice either. Petree is a good guy and, as a reporter for 105.9, he wasn’t afraid to go after folks and get the real story. We need more of that in Delaware and I’ll miss Petree’s reporting. I have no doubt he will do a great job with McGuiness. That office has been very quiet and I’m curious to see what comes out of it in the coming months and years. But hiring a reporter as your Executive Assistant lends credibility to her campaign promise to bring more transparency to that office. 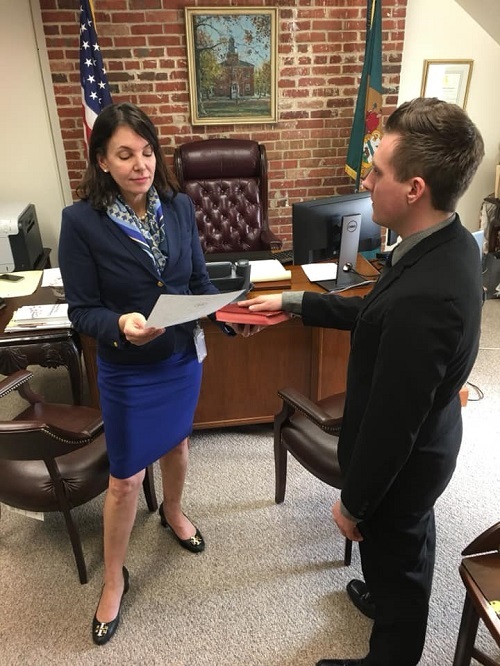 I am excited to announce that I have officially been sworn in as the Executive Assistant for Delaware State Auditor Kathy McGuiness!